Get 3 months for only £3! 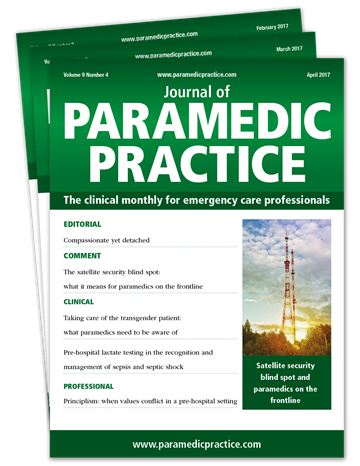 Journal of Paramedic Practice is the practical journal dedicated to best practice and personal development in pre-hospital care. 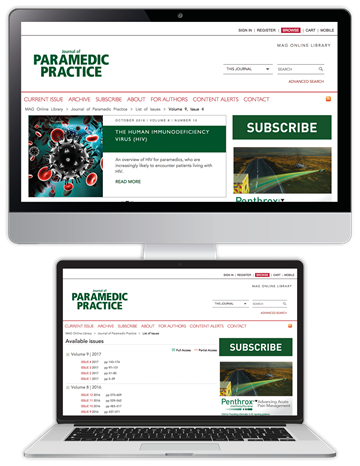 Its unrivalled clinical and professional content - with a reflective CPD programme - provides everything you need on your continued professional journey. 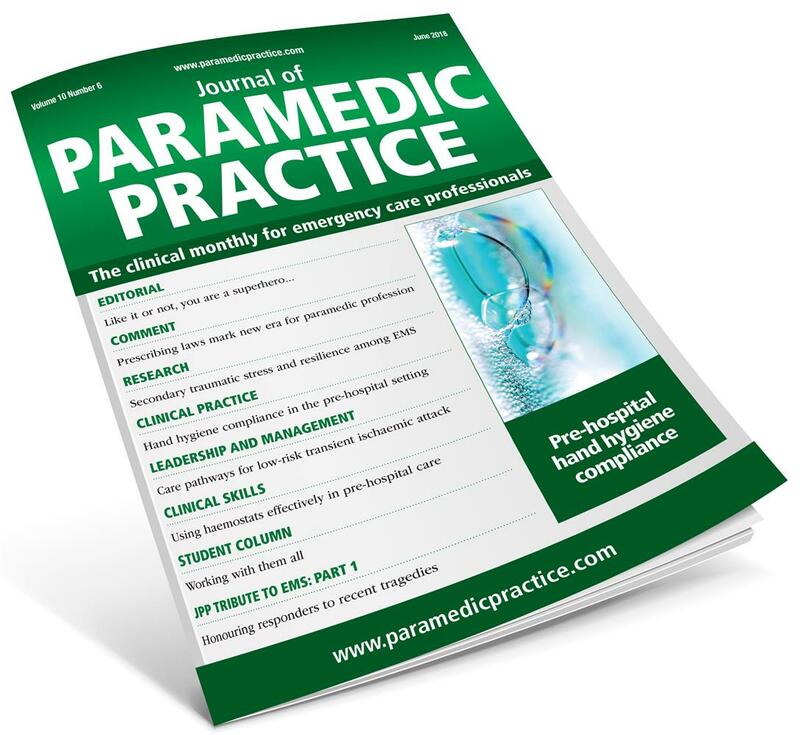 Try JPP today for only £3 - and discover how our practical support can help you develop your skills, achieve your CPD requirements, and deliver improved patient outcomes. We are sure you won't be disappointed. Up to 94% saving in your first three months. £48.00 (Print) or £54.00 (Online) per quarter thereafter. Online subscription includes reflective CPD modules and digital archive access (dating back to 2009). Payment taken by Direct Debit every three months. Please note - online CPD not included with a Print Only subscription.